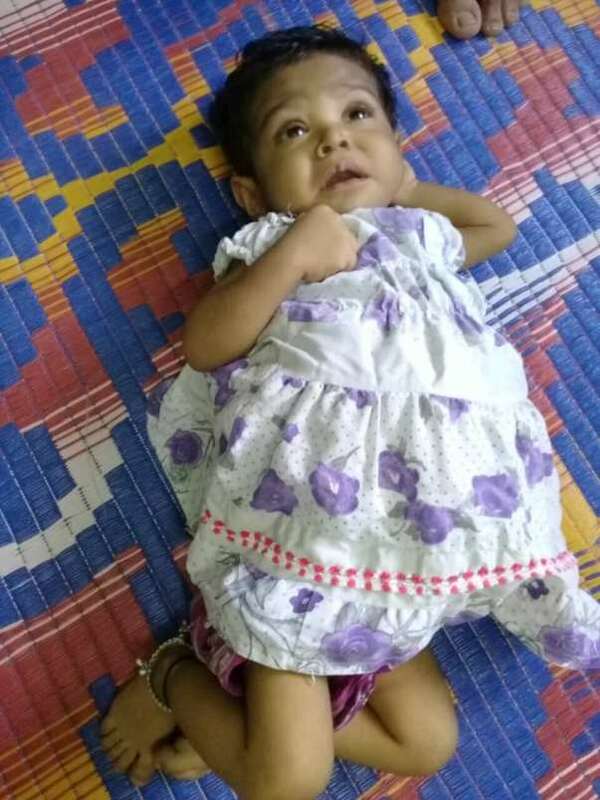 Tahoora is a 9-month-old with a severely damaged liver. 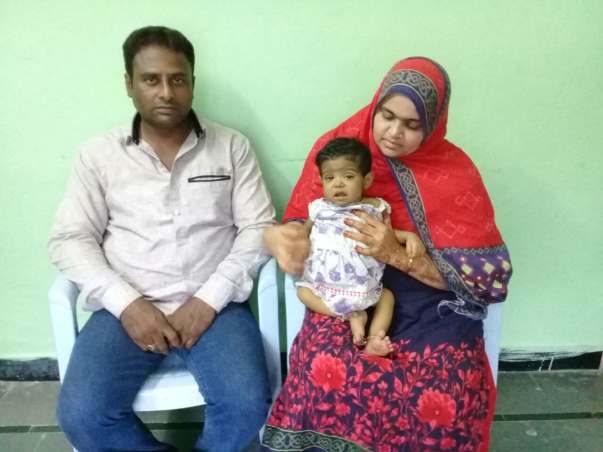 The doctors have told her parents that she will not survive if she does not get a liver transplant in the next few days. Tahoora's father Shabhir is a truck driver in Hyderabad and the only breadwinner of the family. Even if the family sells everything they have – they still don't have enough for a liver transplant that can save Tahoora. Yesterday (August 31), Tahoora was rushed to the hospital in the night because she couldn't breathe. Her father was away on an outstation delivery. Her mother Talha had to call her neighbour and request help taking them to the hospital for help reviving Tahoora. They made it just in time and Tahoora is now on ventilator support. But her condition is so bad that the doctors have given her parents time – the next few days. If her liver transplant is done in that time, she will be able to recover from the damage her body has suffered this far. In the nine months that she has lived, her life has been painful and filled with suffering for the last 7 months. Diagnosed with jaundice when she was just 2-months-old, Tahoora has never recovered. Her parents are running from pillar to post trying to save her but it is becoming difficult for them. “The doctor has said that we will need about 18 lakhs for the procedure. I have a few possessions – my bike, a few electronic gadgets, but even if I sell it all we will not be able to raise enough money to get a liver transplant. Nothing I can do will give me enough to save my baby,” says Shabhir. Tahoora is also noticeably changing because of her sickness. “She used to play, move her hands and legs, sometimes laugh and scream. The last one month, she just lays there – too tired to even cry. Her stomach is swollen, bigger than her small, frail body,” Shabhir says. Tahoora is Shabhir and Talha's dream – a daughter who would complete their family. Losing Tahoora would break their heart. Our support will help this special baby survive the terrible condition she has been fighting almost all her life. We are very sorry to inform you that Tahoora passed away last week. She was in the ICU for a week after which she was discharged because of the high hospital bills. She did not keep well after that. They were unable to find a suitable donor for her transplant. The funds raised will be used to pay the hospital bills till date. We hope the family finds strength is this difficult time. Thank you all for the love and support shown. May her soul rest in peace. Here is a quick update on Tahoora's health. Her Jaundice has reduced and as per the doctor's advice, she is being administered calcium supplements, tablets, and other syrups. The swelling is still there and the doctors suggest that it should reduce with time or after the transplant procedure has been completed. 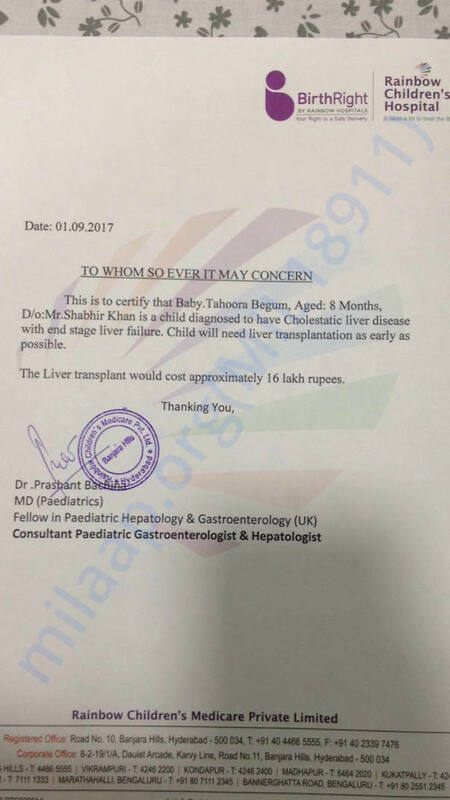 As per the doctor's suggestion, we are trying to look for a donor for our daughter outside the family due to a few complications. The doctors have assured us that we can treat her but the only obstacle we have is the funds. We have approached a lot of sources to raise funds for her treatment. The sooner we raise funds, the higher are the chances that she will recover faster. As a mother, I request all of you to please share this campaign further with your friends and family and help me in saving my daughter. I cannot thank you all enough for all the love and support you have shown Tahoora and us. Please do pray for her health.